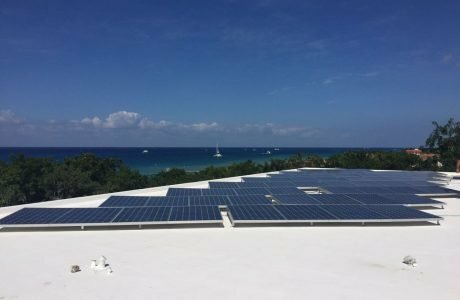 System Install: Grid Tie System, Playa del Carmen. Grid Tie System, Villa Magna, Cancún. 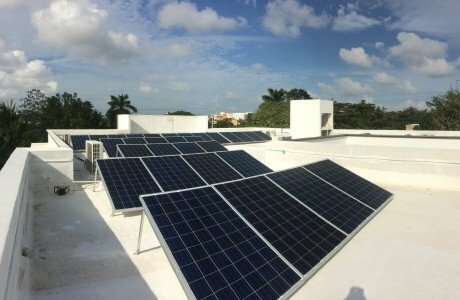 System Install: Grid Tie System, Villa Magna, Cancún. Description: Grid tie system with 22 solar panels of 320w.This installation will generate 30 kWh. 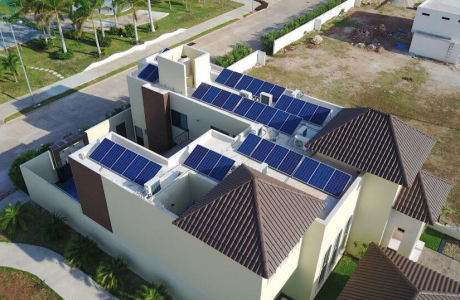 System Install: Grid Tie System, Chetumal. Description: Grid tie system with 39 solar panels of 255w.This installation will generate 40 kWh per day. 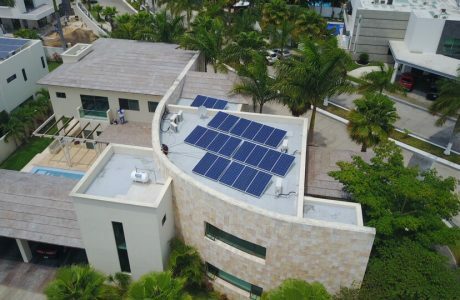 Cozumel Grid Tie 20 kWp System. Description: Grid tie system with 62 solar panels of 320w.This installation will generate 168 kWh. 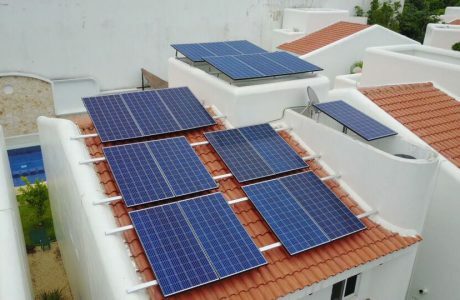 Description: Grid tie system with 39 solar panels of 255w.This installation will generate 42 kWh.